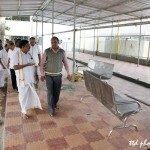 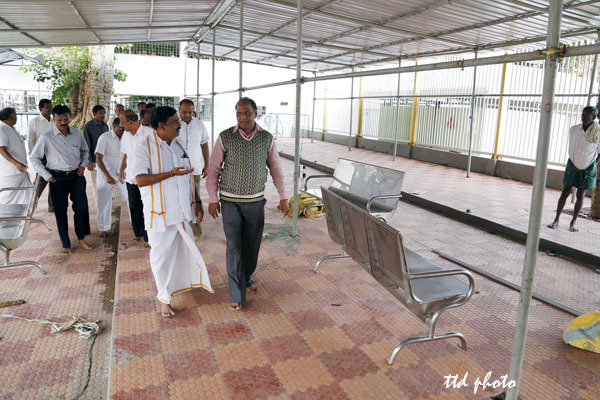 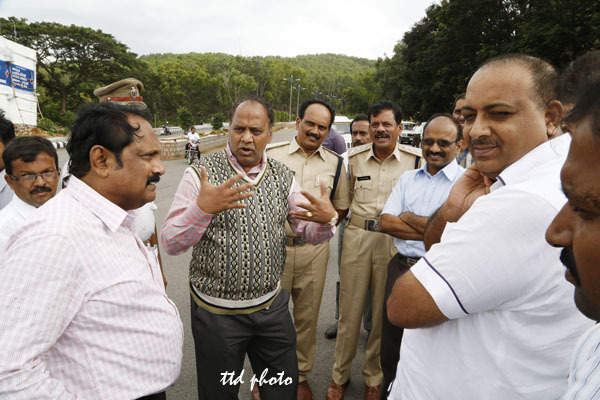 TIRUMALA, SEPT. 16: Tirumala JEO Sri KS Sreenivasa Raju on Monday inspected, the ongoing arrangements for annual Srivari Brahmotsavams which are scheduled to take place from September 26 to October 4 along with various HODs, police officials in Tirumala. 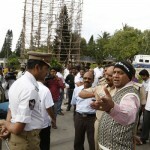 Later addressing media persons he said, almost all the arrangements are nearing completion as less than ten days time is left for the mega religious annual fete. 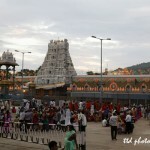 “This time we are very keen to organise this great event in more systematised manner than before and making elaborate arrangements in this regard”, he maintained. 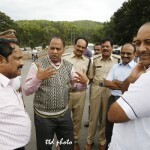 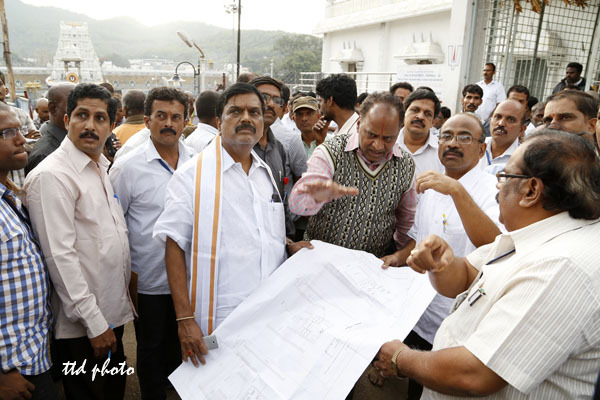 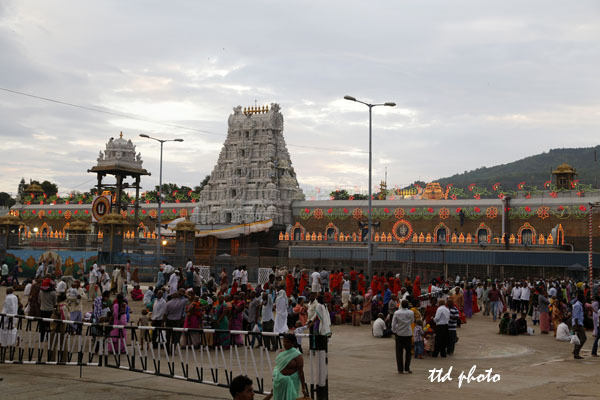 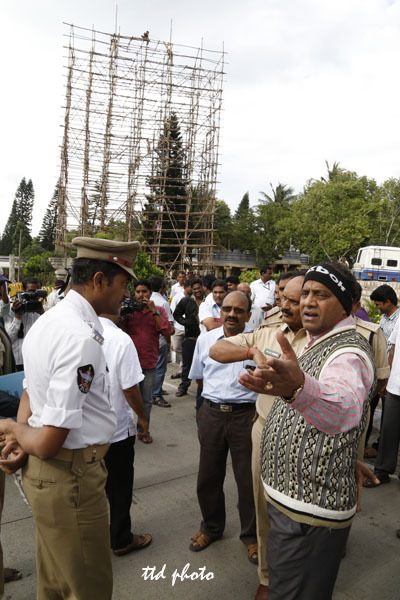 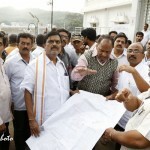 Earlier, the JEO also inspected the GNC toll Gate area, the entry point to Tirumala and discussed with the traffic police, TTD vigilance and Engineering department of the possible amendments that can be done for the event and also how to regulate the traffic without causing any trouble to pedestrian pilgrims. 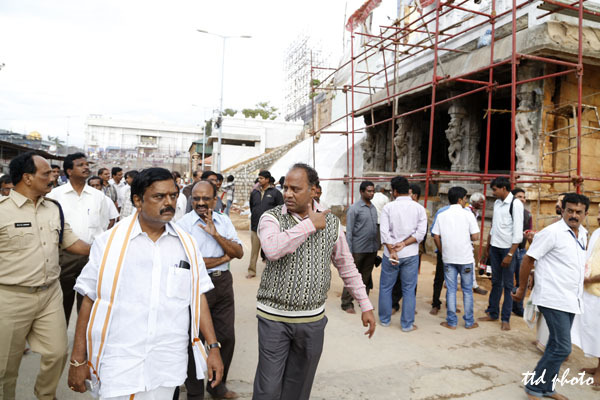 Later the JEO visited the four-mada streets, koluvu mandapam and inspected the ongoing arrangements of beautification in these areas. 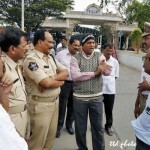 He also checked the bio-metric entry point. 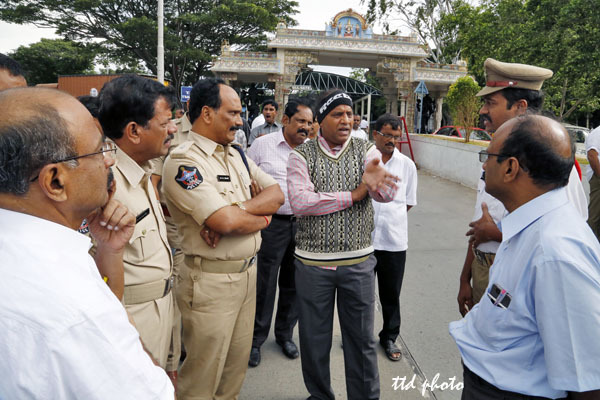 CE Sri Chandra Sekhar Reddy, SE II Sri Ramesh Reddy, Additional CVSO Sri Siva Kumar Reddy, Tirumala ASP Sri Swamy, other TTD and Police officials were also present.